The Federal Aviation Administration set a new standard for airline copilots, which requires an additional certificate. But in order to get it, aspiring pilots must spend six times as much hours flying under the watchful eye of an instructor, and the University of Alaska Anchorage's aviation program has taken steps to aid students troubled by the major regulatory change. An Airline Transport Pilot certificate is required for a pilot to serve as first officer for all Part 121 airline operations, the set of aviation regulations that apply to most scheduled passenger flights. The fact that the first place winner of the Washington, D.C., Red Bull Flugtag involved a licensed pilot and a fan of aeronautic engineering may not be a coincidence. Sometimes the best man to fly a plane is a pilot — a very crazy pilot. Team Harvest Bureau pulled off the win in the Sept. 21 event by going the distance against 28 other teams in the first national Flugtag, in which man-made aircraft compete to see which can travel the farthest when launched from a 30-foot precipice and into the water below. Jonah Desrochers, a junior at Kennebunk High School in Maine, has been taking flying lessons since he could barely reach the plane's pedals. When Desrochers turned 17, he earned his pilot's license and was, for a time, the youngest pilot in the country. Desrochers, who also plays on the golf and tennis teams at the high school, said his desire to obtain his private pilot license began with a family friend who is a pilot for one of the country's largest airlines. 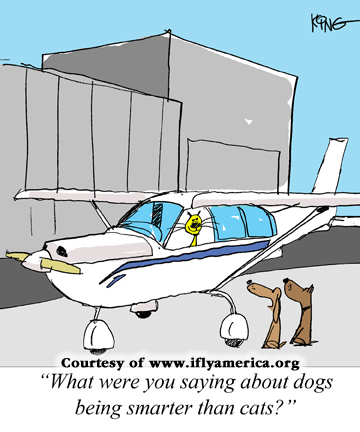 At I Fly America, we understand that you need additional options when it comes to your finances. You shouldn't have to rely on high interest credit cards to get the money you need. We've partnered with Prosper to give our members the finance options they deserve. Prosper offers low fixed rate personal loans with no pre-payment penalties or hidden fees. Through Prosper, you can pay off high interest credit card balances and save thousands, or fund your next vacation, or even pay expenses for a small business. It’s free and easy to apply and the best part is, checking your rate does not affect your credit score. Check your rate in seconds today. A bird strike can be very dangerous and damaging to an aircraft — not to mention the bird. Wildlife or bird strikes aren't a new phenomenon. They have occurred since the beginning of flight. The first ever bird strike was recorded by Orville Wright on September 7, 1905. His plane struck a bird (believed to be a red-winged blackbird) over a cornfield near Dayton, Ohio. Although bird strikes are the most common, they are not the only wildlife threat posed to aircraft. Pilots must always be cautious of ground animals like deer, rabbits, bears and even reptiles, such as alligators or turtles. According to Derek Franz: A childhood dream came true for me at the Vail Valley Jet Center — I got to ride in a modified Stearman biplane piloted by former fighter jet instructor Gary Rower. "I'll take you for a loop and a barrel roll if you're up for it," Rower said. The crew of the Illinois Department of Transportation (IDOT) helicopter that crashed in New Mexico veered to avoid birds while en route to Nellis Air Force Base in Nevada for training in the use of radiation-detection equipment, officials said. Two pilots standing near an airplane hanger gawked as the red 1929 Curtis Wright Travel Air rolled by, preparing for its flight. The two-seated biplane, which cost $180,000 to restore, lifted off as if brand new, before circling the El Monte Regional Airport. The plane pitched and yawed smoothly through the wind with ease, despite its age. Beware of vertigo! Or, alternatively, what a rush! Salinas native and National Aerobatic Champion Sean D. Tucker agreed to be videoed while he conducted an aerobatics practice over Greenfield, Calif., in preparation for the California International Airshow Salinas. During his flight Tucker took a few minutes out to catch up on the local news by reading The Salinas Californian. He also describes the various maneuvers he does flying his bright red, highly modified Oracle Challenger III biplane. Mechanical issues forced the pilot of a single-engine experimental plane to make an emergency landing along Chicago's Lake Shore Drive. According to pilot John Pederson, as told to the Chicago Sun-Times, he was flying over the lakefront when an elevator on his plane malfunctioned, causing the aircraft to shake. According to author Sami Grover: I've hitchhiked a few times in my life when I was younger. But having gotten stranded in weird, isolated villages; soaked in the rain; and scared witless by one particular driver, I decided the bus or train might be a better option. Not so for travel writer Amanda Nolan, for whom run-of-the-mill hitchhiking seemed a little too easy. She took to the skies instead. The 50th Reno National Championship Air Races, billed as a tribute to mavericks and legends, sparked the warmest of aviation memories for Reno's Carol Cone-Lewis. Her late father, J. Carroll Cone, was both a legend and a maverick, helping write aviation history, including air racing long before it came to Reno. "It's such a neat story," Cone-Lewis said, clutching a photo of her father as air racing planes whizzed around the course at Reno Stead Airfield.